Hey I'm Rachel... And I want to help you reach your goals! 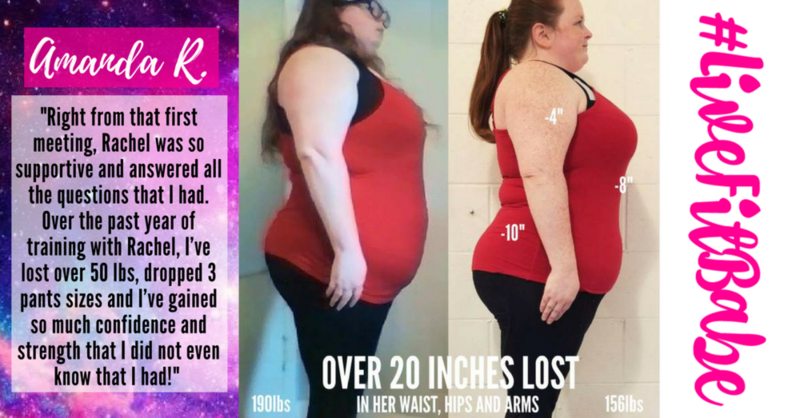 Hey I'm Rachel... And I Want To Help You Transform Your Body! There are 3 main things I specialize in! Which one describes your goal best? Click on an image above to learn more and Get started towards your goal! After years of struggle with endless cardio, fitness DVDs and unsuccessful weight loss attempts (sound familiar?? 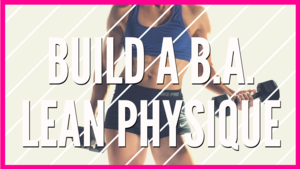 ), I have finally found the solution to my fat loss struggles in lifting heavy weights and following a healthy, but reasonable nutrition plan! It's been over 5 years now and the journey has definitely NOT been easy. There have been ups and downs and highs and lows (don't even get me started on those! ), but I'm happy to say that I've come out of it more informed, better equipped and with a deep understanding for the struggle YOU are going through! My ideal client is someone who has NEVER been comfortable in the gym. I want help you feel confident and excited to go workout! My goal is to MOTIVATE and inspire you while teaching you EVERYTHING you need to know so you never feel intimidated again! I can't wait to help you fall in LOVE with your new lifestyle and finally feel STRONG, CONFIDENT and BEAUTIFUL!